Great Location, new lower rates on access road to Burke Mountain Ski Area . Property 1: Great Location, new lower rates on access road to Burke Mountain Ski Area . Burkeside condo steps away from Sherburne Lift and Lodge. Direct KT access! Property 3: Burkeside condo steps away from Sherburne Lift and Lodge. Direct KT access! East Burke House - 2 Mins to Kingdom Bike Trails! Property 10: East Burke House - 2 Mins to Kingdom Bike Trails! Property 14: Great spot for bikers, hikers and lovers of outdoors! Non-smoking home. Spectacular Burke Mtn Views On Picturesque Darling Hill Road. Property 17: Spectacular Burke Mtn Views On Picturesque Darling Hill Road. 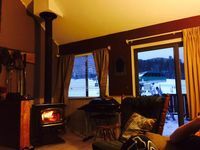 Ski-in, Ski-out, Amazing views of Willoughby Gap, Brand New! Property 21: Ski-in, Ski-out, Amazing views of Willoughby Gap, Brand New! Come stay at the Kirby Hideaway! Property 23: Come stay at the Kirby Hideaway! East Burke Home w/Large Deck On Mtn Bike Trails! Property 31: East Burke Home w/Large Deck On Mtn Bike Trails! Mountain bikers delight to comfortably accommodate large groups. Property 40: Mountain bikers delight to comfortably accommodate large groups. Luxury 5 Bedroom, 4.5 Bath Townhouse Just Steps From Kingdom Trails! Property 48: Luxury 5 Bedroom, 4.5 Bath Townhouse Just Steps From Kingdom Trails! Enjoyed our stay here so much! The mountain was closed but our plan was just to get away and chill anyway. Everything was clean and organized. All the basic necessities were there and good food/quick needs weren&rsquo;t far away. Would come back again!